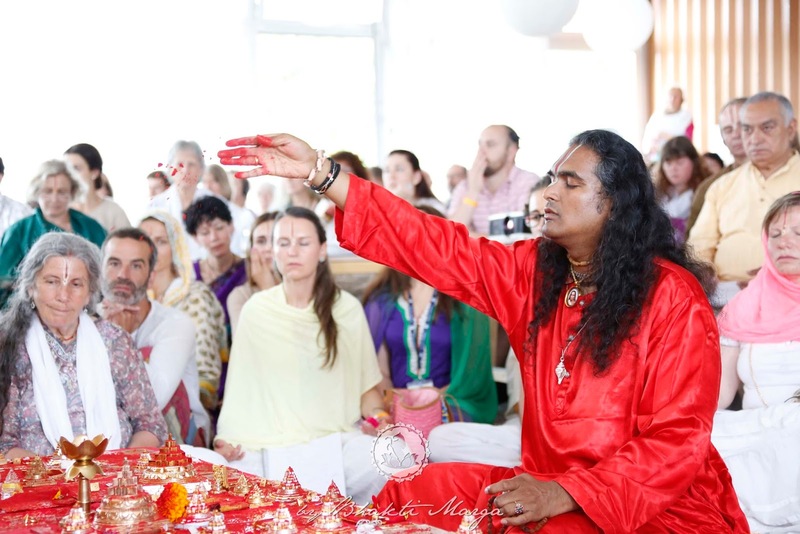 This past weekend, Sri Swami Vishwananda led an event at Shree Peetha Nilaya honouring Divine Mother in her mystical geometric form. 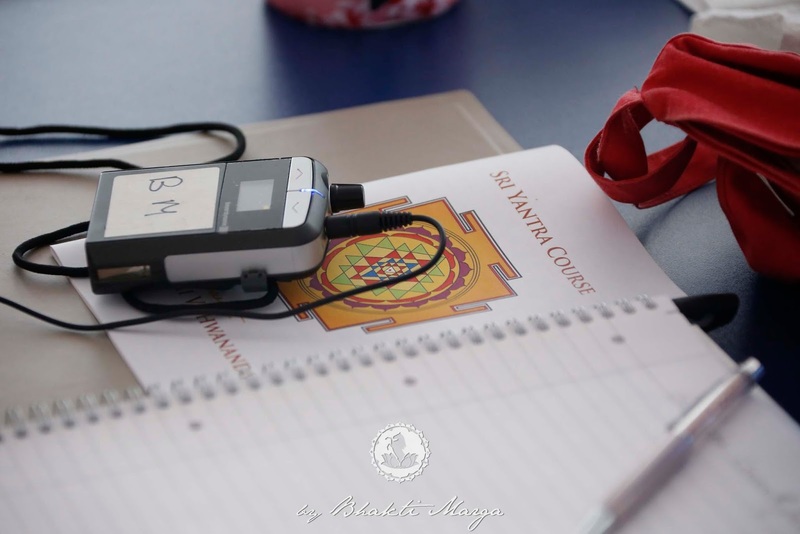 In the Sri Yantra course, a two-day exclusive discourse on the inner meanings of this symbol Divine Mother, Swamiji invited people to find those qualities within themselves. 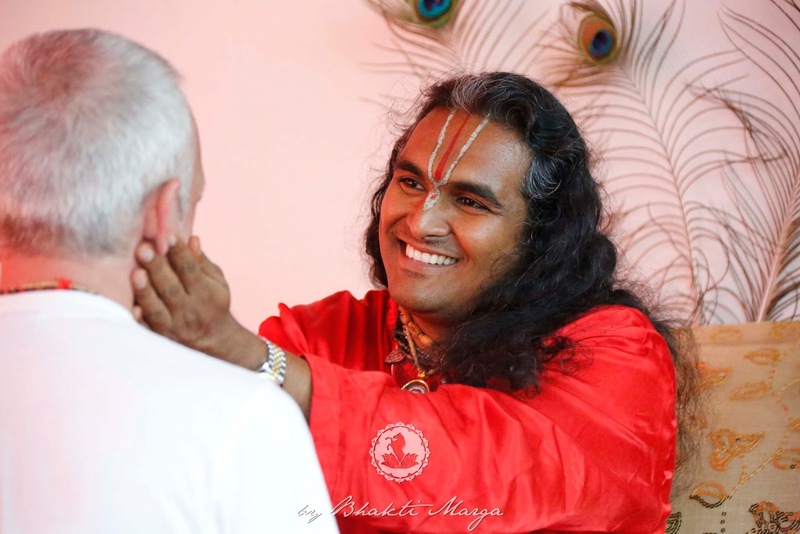 We interviewed some of the participants to hear how the course was for them, and what they learned from their introduction to the Divine Mother via Sri Swami Vishwananda. Wonderful! It was very informative. It felt like I was connecting to something inside of us. 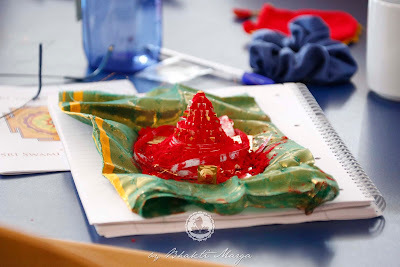 I could imagine and connect to [the Sri Yantra]. 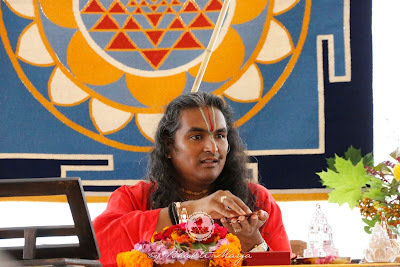 I felt Guruji explained everything very well, as always: very clear and accessible. Doing the complicated puja was rewarding. It now makes sense to make the effort and commit yourself…there are simpler ways, but this is the cosmic energy and divine energy which is our essence and so you have to really give yourself time to invest in your Self. Your true Self, this divine essence. I had feedback prior to doing it that it was going to be really special, and my experience was truly incredible. [The course] gives you all the tools you need to connect fully with the Divine. There it is, in the Sri Yantra—if you see it, if you let it. [Sri Swami Vishwananda] was incredibly giving and generous with his time. That’s what’s so amazing with him. He shares so much and is so patient whether they are knowledgeable or not. As long as we will put in the effort to find the Divine, he will give us the tools to do so. Giving us the amazing mantra (at the end) is one of the highlights which furthers our ability to go deeper into the practice. I always find with him you can’t really put it into words what he gives us. You can’t truly understand what he gives us because it’s unfathomable. The gratitude we can give is not adequate for what you receive. No one truly understands what you really get from it. Information about the Sri Yantra…I got the information I needed — we are the Sri Yantra. As an Atma Kriya Yoga teacher, the Sri Yantra course helped me see that while doing Atma Kriya Yoga, we are doing puja. It is the biggest Abhishekham for us. 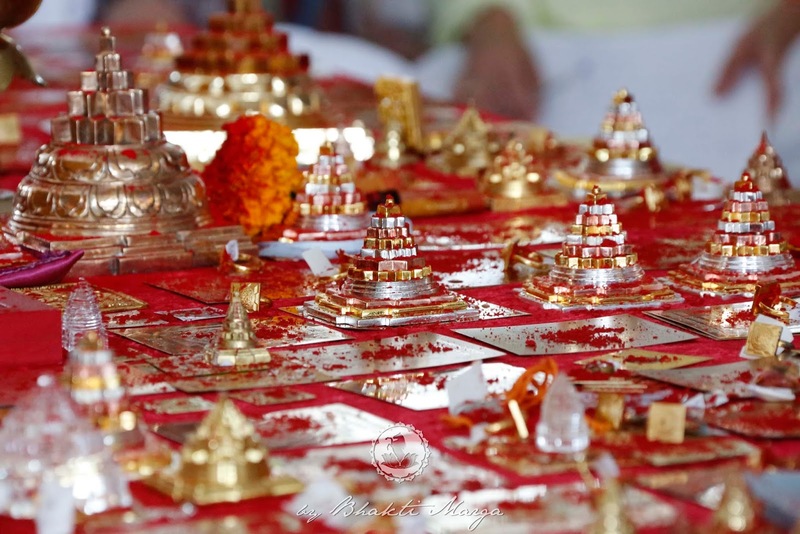 Imagine ourselves as the Sri Yantra and our Kriya is much like the Sri Yantra puja. The course allowed me to experience this connection, and better understand the beauty in the Sri Yantra. 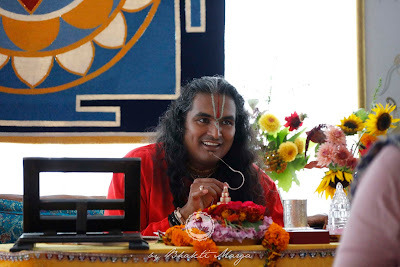 It is amazing to be with [Sri Swami Vishwananda]. It is difficult, mental notes are hard because of so much information. I feel like learning the information in the course makes the drawing of the Sri Yantra very extraordinary because of having the meaning of the individual parts. During the initiation, I felt something very special. I don’t know what but it was something really deep. I don’t have words to explain what happened, but I know it was strong. I nearly fell asleep—a calmness came about me. I didn’t have any expectations. But to be honest, I did the course just to spend time with Him. The content was less important than time spent with him. The experience was amazing though. Hearing him recite the mantras, chanting the mantras, and meditating on the parts of the Sri Yantra left me with a spiritual high. Going through the experience though, I felt connected to something I wasn’t expecting any connection with. I feel like we barely scratched the surface of what the Sri Yantra is. But I feel like he planted the seeds for something that may reveal itself in the future. I feel like I got a taste of what the Sri Yantra is and means. I feel like it only scratched the surface because I don’t think the essence of the Sri Yantra can be described with words. However, Guruji gives not just words but this whole other type of experience beyond communication.